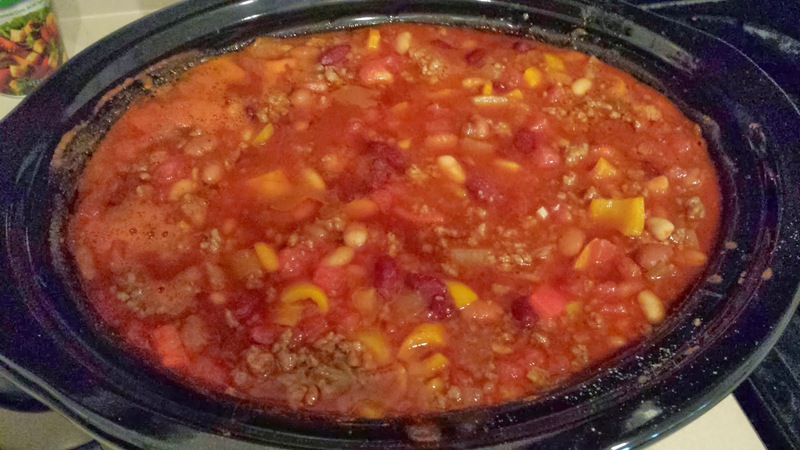 A Little bit of Lorene: Yum, Chili! I love soups. I love my crockpot. I love cooking easy! Especially on Sundays! We have church at 6PM, so we don't get home till about 6:15 or later. Who wants to cook by then? Not me. 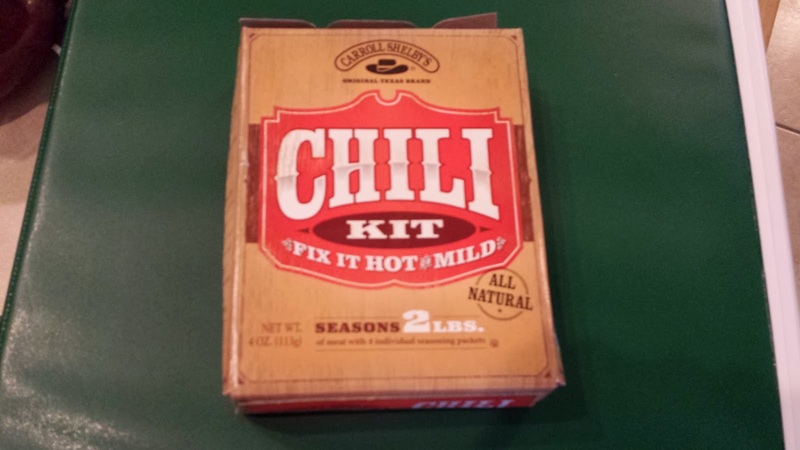 Here is my chili recipe based on Carroll Shelby's Original Texas Brand Chili Kit - Fix it hot or mild. 2 - 3 cans of pinto beans (those are my favorites. My mother-in-law wanted me to fix the chili and provided all the ingredients this time. So she gave me 2 can of pinto beans, 1 can of white beans, and 1 can of kidney beans.) It doesn't matter, it all tastes good. except she tried to give my black beans! No way! No how! I cook the hamburger with the onions, diced green chilies, garlic, and green peppers. I use the salt packet from the packaged chili kit. you don't have to use it all, just what you want. While that is cooking, everything else goes into the crockpot. Including the season packet, the thickener packet and some of the cayenne packet. You can use or not use the cayenne packet. just depends on how hot you want it. I always add a little to half. I don't want my nose and eyes to start running! Stir well. when the hamburger mixture is cooked. drain and add to the chili. cover and cook on low for 10 hours. So yummy. I have served it with crackers, hot flour tortillas, and cornbread. This time, with cornbread. I will share that another time. I also serve grated cheese, and or sour cream with the chili. You can add it if you want. It is better the next day. I know makes a lot. but I will take half and freeze it. So I don't have to cook on another day. Like a day that I have been quilting all day and forgot to start anything for dinner and hubby will be home soon, kind of day. It works for me! So I am sitting here, writing this up, with a quilt on my lap. Socks on my feet. And I am cold. I know, cold in AZ? Well, it is 75 degrees. That cool for this desert rat. Hope you enjoy the chili. Let me know if you make it.